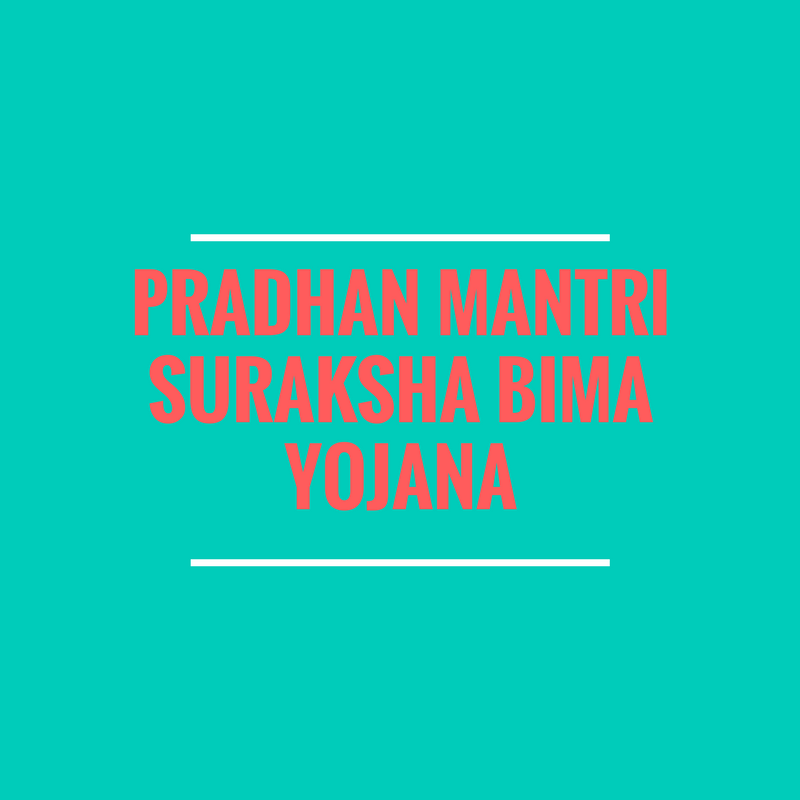 Pradhan Mantri Suraksha Bima Yojana is a government-backed accidental insurance scheme. It is one special scheme, in which any person can join this insurance scheme premium just at 12/- rupees a year exclusive of taxes. Goverment Insurance or Modi Insurance is the alternative name in India of the following scheme. GST is exempted from P.M. Suraksha Bima Yojana. So, this scheme’s biggest benefit goes to every single person who wants to secure his and his family’s future. This is one of the best insurance schemes ever introduced to a common man directly from the govt. In case of accidental death or full disability, the payment of 2 Lac rupees will be given to the nominee. In case of partial permanent disability, payment of 1 lac rupees will be given to the nominee. Full disability is defined as a loss of use in both eyes, hand or foot. Partial permanent disability is defined as loss of use in one eye, hand or foot. This insurance is linked to all the bank accounts opened under Pradhan Mantri Jan Dhan Yojana scheme. Initially, everybody had zero balance in these accounts. Linking these accounts with Suraksha Bima Yojana will give a benefit of reducing such zero balance accounts and will result in profit at both the ends. Now, everybody can avail this facility by the online banking system. All savings bank account holders in the age 18 to 70 years in participating banks will be entitled to join. In case of multiple saving bank accounts held by an individual in one or different banks, the person would be eligible to join the scheme through one savings bank account only. Aadhar would be the primary KYC for the bank account. Anybody can enroll for this scheme by following steps. By visiting particular bank branch. By phone banking (if the bank provides such facility). Anyone aged from 18 to 70. 18 years of age must be crossed and 70 must not be crossed. They must have a savings bank account. One Should give a consent letter for auto-debit facility. By the end of November 2017, 13* crore people enrolled for Suraksha Bima Yojana. If an individual has multiple accounts, they can avail this scheme in only one account. One can’t activate this scheme in every saving account he/she has. The primary Know Your Customer (KYC) document needed will be Aadhar card. The premium of the scheme will be auto-debited from the account of the person. If a policyholder exists the scheme at any time of the year, and wish to re-join again, Same rules will be applied for any person who wants to avail this scheme in any part of the year. The Pradhan Mantri Suraksha Bima Yojana delivers accidental death and disability coverage which is confirmed by written authorities. In case of accidental death of the insured person, the accident should be reported to the police station as well as nearest legal authorities and should be clarified by immediate hospital records. The claim can be filed by the beneficiary of the policy mentioned in the enrolment form by the insured. In case of the disability claim, the sum assured amount will be credited to the bank account of the policyholder and in case of death, the death benefit will be paid to the beneficiary of the policy. Pradhan Mantri Suraksha Bima Yojana a death benefit of Rs. 2 lakh is available to the beneficiary of the policy in case of accidental demise of the insured person. Moreover, coverage of Rs. 2 lakh is provided in case of total disability like irrecoverable or total loss of both the eyes, or loss of use of both the hands and feet, paralysis, etc. In case of partial disability, a life coverage of Rs1lakh is provided to the insured person.